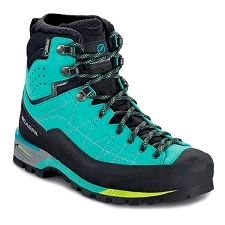 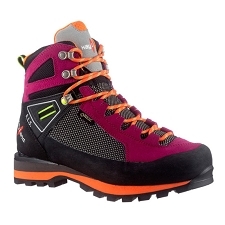 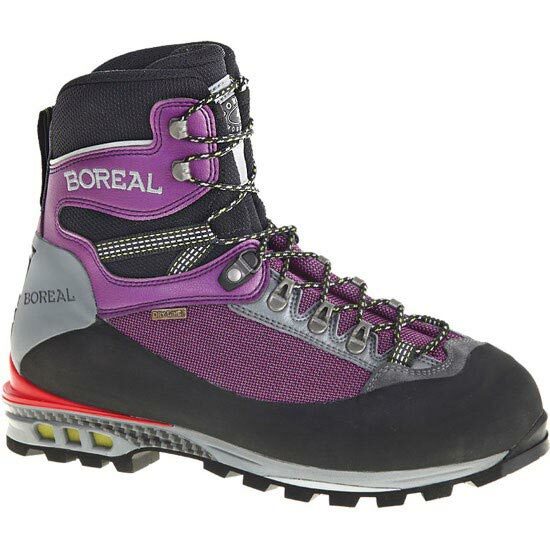 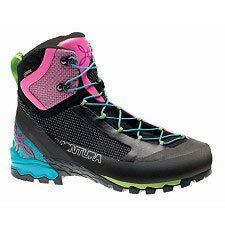 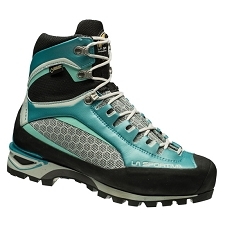 The TRIGLAV women's boot from Boreal is built for both long approaches and technical alpine rock and ice ascents. 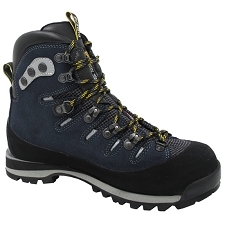 The closely cropped Vibram Mulaz sole is hydrophobic and very adhesive for traction on both wet and dry rock. 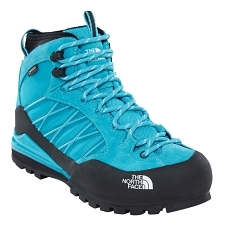 This comes in handy on terrain where the exposure is great and ratings are meaningless. 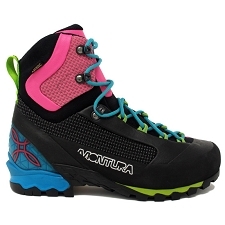 Midsole is dual density EVA and PU for shock absorption and extra thermal insulation. 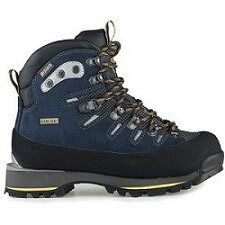 The key to comfort and warmth is the use of waterproof Lorica synthetic leather with one piece high tenacity, abrasion resistant Teramida upper backed by Boreal's Dry-Line for absolute waterproofness and superior breathability. 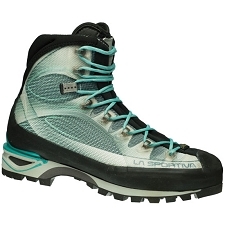 Comfort and warmth is increased by removing moisture from within the boot. 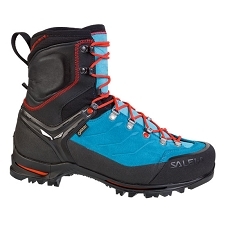 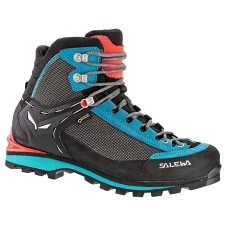 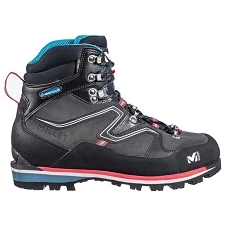 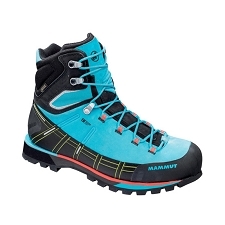 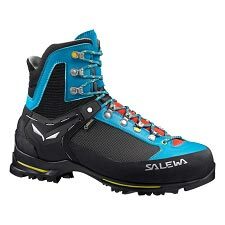 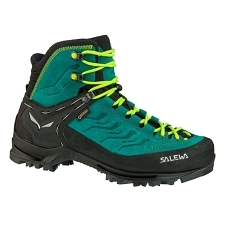 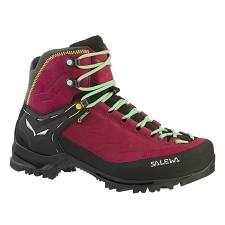 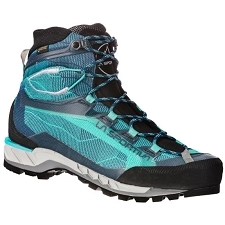 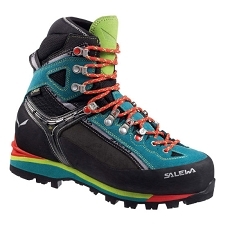 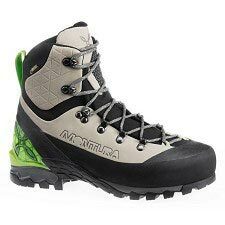 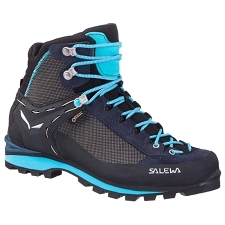 Also, high climbing rubber rands protect upper and TPU heel piece allows for semi-automatic crampon use which is quick and convenient for crossing back and forth from snow to moraine and transitioning from alpine ice to rock.